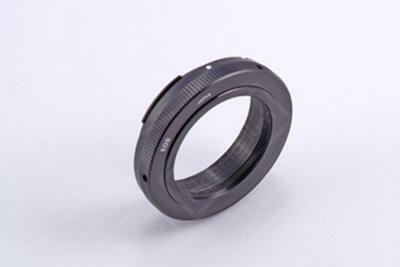 This is a really great eyepiece. The weight alone is enough to tell you that you are buying quality. 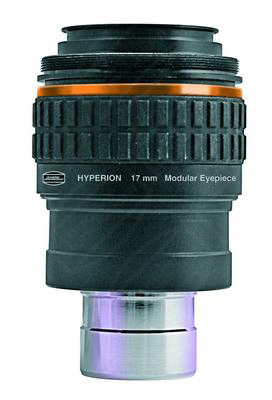 In comparison to my normal Plossl eyepieces, the 17mm Hyperion has emaculate detail and clarity, which you can expect from Baader. The fact that it fits in both 1/4 and 2" focussers is a bonus. I find that when fitted in my 2" focusser that I still have to pull the eyepiece out to get it focussed, but once focussed I can star gaze for hours. What I absolutely love about this eyepiece is the thread where your T-adapeters screw onto, if you are into astro photography. It just gives you that extra detail and focuss and also brings your objects much closer if you are into photographing the planets. The only reason I rate this eyepiece at 4 is coz sometimes I still have to move my head around to get a nice clear picture in the eyepiece without staring into the walls.